The general view of philosophy is that while it may provide fodder for lively debate and even a certain type of entertainment for some, it doesn’t actually give anything of value in terms of practical real life issues, or science. Philosophical positions are seen to be subjective and changeable like opinions, and only having a relationship to the personalities expressing them, rather than to an actual objective access to truth. Although not everyone works in a scientific field, this is still an important common cognitive blockage for everyone to recognize and overcome in themselves, as it clouds our relationship to our ability to “know”. Your final assignment in 2nd year of the Heilkunst university curriculum will be to survey the philosophy of science and epistemology, in order to begin to lay a foundation for a true scientific method. 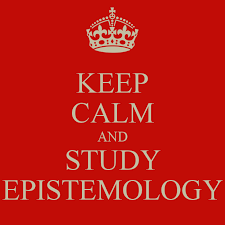 The issue that we’re stuck with in modern science is that it actually has no solid foundation, and has reverted to the non-scientific stance of “empiricism”. The 18th century philosopher Immanuel Kant lay one of the most thorough frameworks for this empirical form of science which continues to be the working method in today’s sciences. The issue with claiming pure empiricism (ie merely observing without adding any conceptual content) is that it is an illusion. Rudolf Steiner pointed this out in great detail in his early epistemological texts, and very masterfully overturned the unobserved presumptions built in to Kant’s thought process. The problem with the claim of pure empiricism, is that it pretends that it is possible to simply observe, or take in the data of the world provided to our sense organs without the use of any concepts on our own part. “Thinking”, or adding our conceptions to what we’ve observed is thus presumed to be “subjective”. It is well worth reading Steiner’s train of though on these points, as he comes to a very remarkable observation which can act as a foundation for true observation and science — that is, if we experience what he calls the “exceptional state”, where we apply our own thinking to our thinking process itself, we come to discover that there is indeed a very solid foundation to stand on, upon which we are able to make objective observations within a scientific context. It forms a foundation, because when we are using our thinking to observe our own act of thinking, rather than an object outside of our selves, it is the only time we know for certain what the origin of the object under observation is. Taking this insight further brings us into what Steiner calls “etheric thinking”, which emerges out of this state of “thinking about thinking”, and which is necessary for truly entering into an accurate observation of a living process. Working through all of these thought exercises, it becomes very empowering to realize that we are, in fact, capable of objectivity, and that science can be so much more than “mere” empiricism fluffed up with statistical method. The basis of medical Heilkunst (ie NON-allopathic medicine) can now proceed correctly, on the basis of natural law, and on objective observation and thinking. The solid basis of principles can be relied upon instead of the shifting sands of empiricism.